I received all eight badges, defeated the Kimono girls at the Dance Theater.. I received all eight badges, defeated the Kimono girls at the Dance Theater, and completed the side mission at the Dragon place. I talked to Elm and am now in the first town of the game, trying to surf east to the Pokemon League. May won't let me pass, saying something about the Kimono girls. Thanks in advance! I have tried beaten her with my Pokemon I got with me,i got rid of the..
where is the master ball? 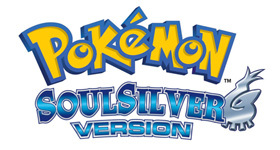 I'm trying to find the master ball on Pokemon soul siver if anyone can..
After you beat ure rival in mt moon and then go to dragons den and be..
As in the original Gold/Silver. Will the legendary Pokemon opposite to..
Where do you find the Dragon Scale to evolve seadra into kingdra? How do you get Raikou and Entei back when you have de..
Surf Problem!!!! I used a cheat to get all tm's at th.. I defeated Lugia by axedent so where is the post-hall..
After defeating red why didn't my trainer card change..
HELP! ACTION REPLAY GLITCHED POKEGEAR!!! Okay, so I a..
Run down of the complete gam..